The CISPM Berlin give the voice for the mini-festival who is a platform to give the refugee community in berlin a chance to tell their own story in their own voice. Also In this program: « star Boy Production: The illegal things people do to become legal », a guest performance from Ahilan Ratnamohan from Antwerp in which african migrants from CISPM invite the audience into their World of survival tactics. « Bolero » the newest piece In development from lis sanga danse company in which dancers age 5 – 70 from different countries and cultural backgrounds seek togetherness through their dissimilarities. Ticket donation 8€ Free entrence for refugees. 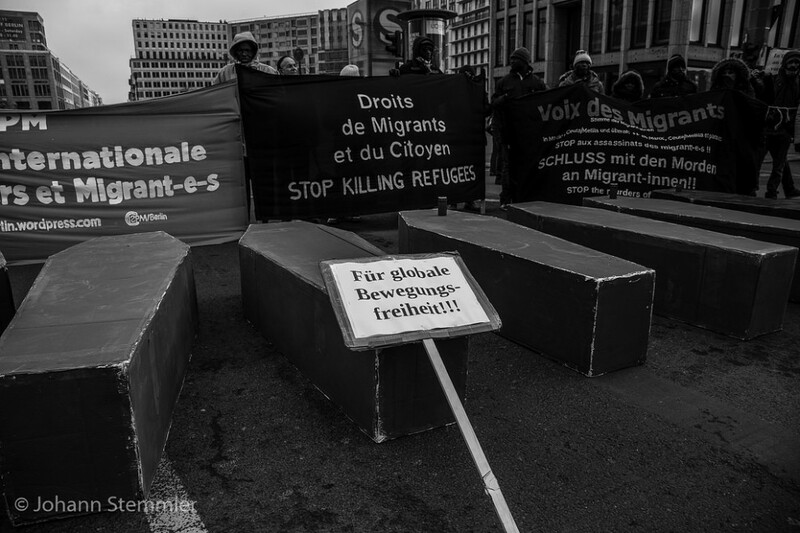 10th and the 17th of April at Brandenburger Tor/Pariser Platz. We’re lancing this call but the action is for everyone to make out of it what we can and want, so let’s cooperate to live up the place and make the week of action against residence restriction colourful and a space for organizing and learning! It would be really great to have different performances, workshops, discussions and concerts throughout the protest week.